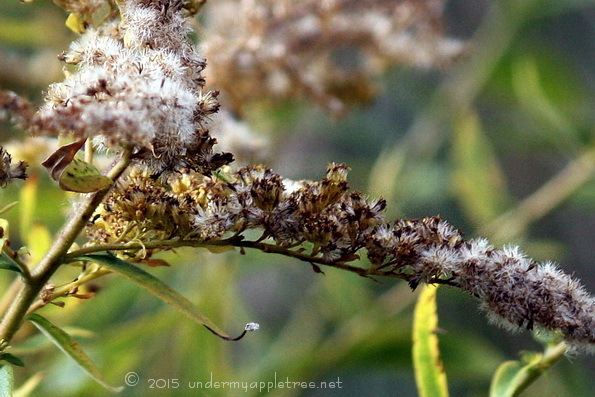 Almost wordless: Nothing special about Goldenrod, it’s everywhere. I noticed this plant because I liked the way the morning sun was highlighting the seeds. Autumn light is my favorite for outdoor photography. Beautiful – it almost looks like snow! That lovely plant would make me sneeze like crazy! I love the details. You see it far away, but you don’t know the details until someone like you brings us up close.